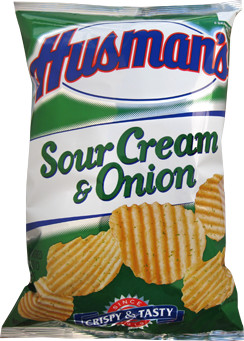 The Husman Potato Products Company was founded in 1919 by 24 year old Harry Husman. 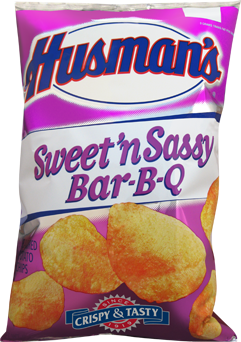 Since it began, the company has had five different snack manufacturing plants. 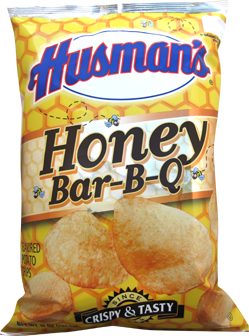 Husman's started out at 414 Laurel Street, where Harry had a pulley out of a second floor window that would be tied to a bag of potatoes on one end and his car bumper on the other. As the business grew, harry moved to a 2,500 square foot plant on Lincoln Avenue. the third plant doubled the companies work area in size. The final plant at 1621 Moore Street, was originally 30,000 square feet, but further expansion saw the plant grow to 70,000 square feet. The company's first automatic Potato Chip fryer was installed in 1937 - this made a major alteration to business practices - up until that time 50 pounds of Chips were fried an hour in Kettles. The increase in production instantly took it to 800 pounds an hour. In 1949 Husman installed packaging machines. By the late 1950s a second fryer was added and there were four packaging lines. 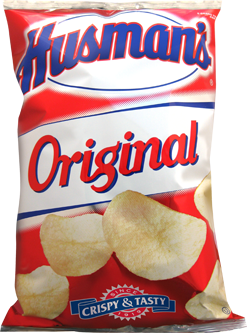 At around this time Frank Herschede bought the company and in 1967 the company name was changed to the present Husman's Snack Foods Company. 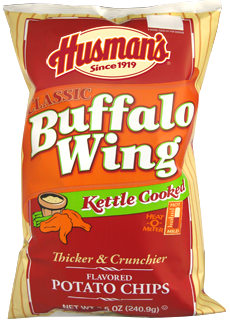 In 1990, the company was purchased by the Birds Eye Foods Corporation. 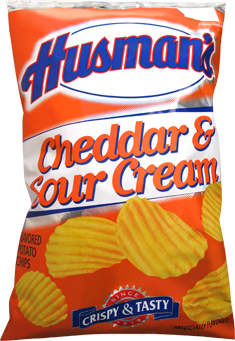 In December of 2009, Husman's became part of Pinnacle Foods Group LLC. As part of the Group's "Brands You Know. Brands You Love." 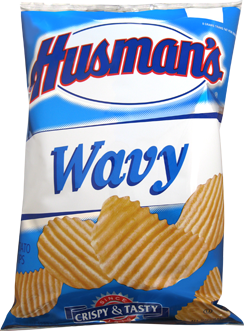 Back in the day, Harry Husman made potato chips in his Laurel Street home after hoisting sacks of spuds to his second-floor kitchen by attaching a rope to the bumper of his car. 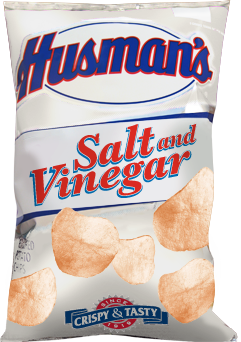 Today, Husman’s chips are mechanically cleaned, peeled, sliced, blown dry and fried to a uniform golden crispness in two to three minutes. 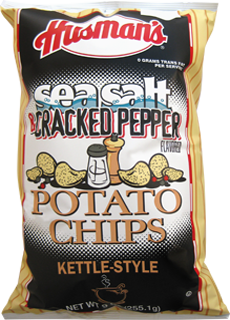 Some 43 million potatoes a year are turned into chips shipped to stores from Dayton and Springfield, Ohio, to Lexington and Louisville, Kentucky. 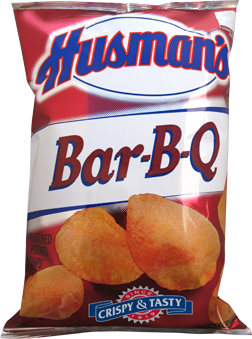 Now, Cincinnati-based Husman’s Snack Foods Co. is celebrating with new store displays and giveaways – marking 95 years of satisfying generations of loyal snackers.